We are ready for this new adventure with God, this new year, full of anticipation for more of his presence and revelation in our lives and families. Thanks for being there .. for supporting us, loving us and affirm our lives .. in this effort to extend the kingdom of God. As January – February ended and a new one begins, we want to keep you in tune with what we’ve been doing, as far as we are growing …and some new doors for ministries! 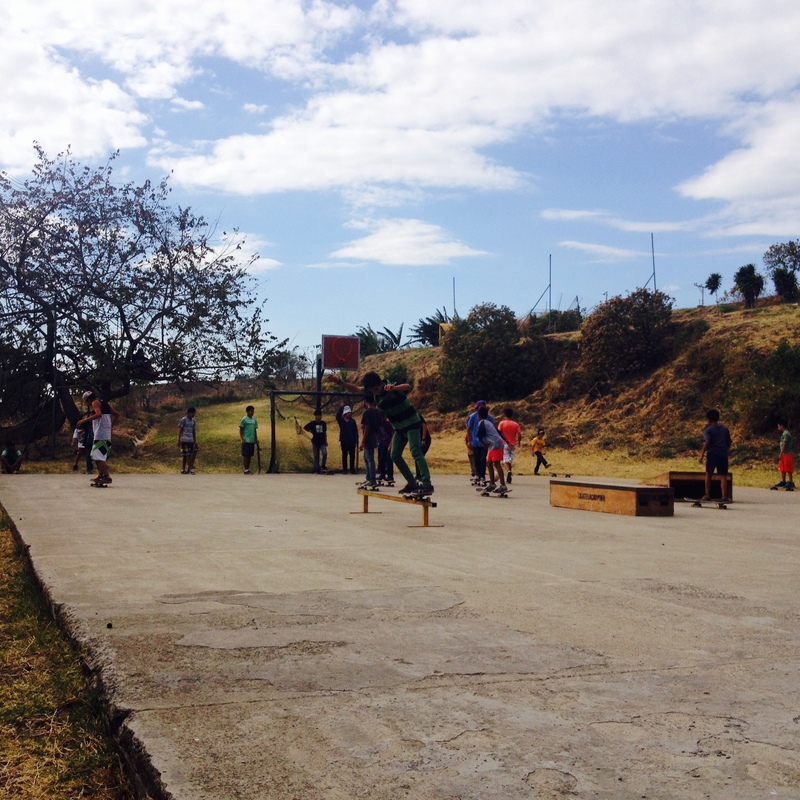 In this couples months , we’re reconnecting with different skate clubs , after the holidays. New kids joining the skate clubs really excited!!!. One of the things we wanted to teach the kids is knowing that God blesses us and wants the best for us … but he want us to do our part , A good friend Ricardo Argudo , felt to donate a riel to the small set of ramps that they have, the Kids from this location are getting step by step Seeing God Being Real to their lifes …. this fills our hearts 😀 … Maikol , our core leader is growing a lot, trusting more in himself … and see a .. new inflcuence God is giving him in the middle of his community. Maikol is starting the process of getting his passport as well, playing for the opportunity to travel to Canada in August as well with Jimmy and others from the Skate Clubs..
New Door has been opened!! 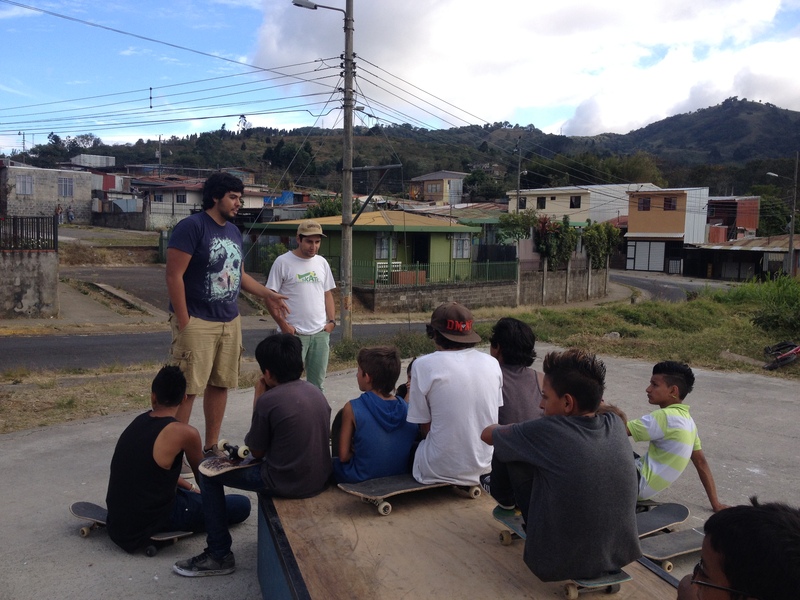 As our presence within the skate clubs is seen in this community, we recognize that more is the number of skateboarders who attend our clubs .. for this reason, we had been praying that God would provide a place, bigger and safe to keep developing our clubs , in February, God opened the doors, of networking with “Nuevos Horizontes” organization, which provides opportunities for study and training for youth’s in Carpio. Summer has arrived! Full of passion to see the Kingdom of God establish to needy communities in Costa Rica. These months, the Ministry of Homes of Hope, YWAM san jose, has been full of Missionaries teams, who have decided to join the project to build physical and spiritual homes … to very needy families. These first weeks this ministry team build the first house made ​​of esteriofon (first in Costa Rica) with this type of material . Praise the Lord… how He is the one that lead us to be a blessing for others!! We invite you to pray as we keep working to facilite and serve all this summer Teams that are getting ready to come and build more houses.. so that God’s love and truth can be preach in each of this families… and see a whole communities been transformed!!! 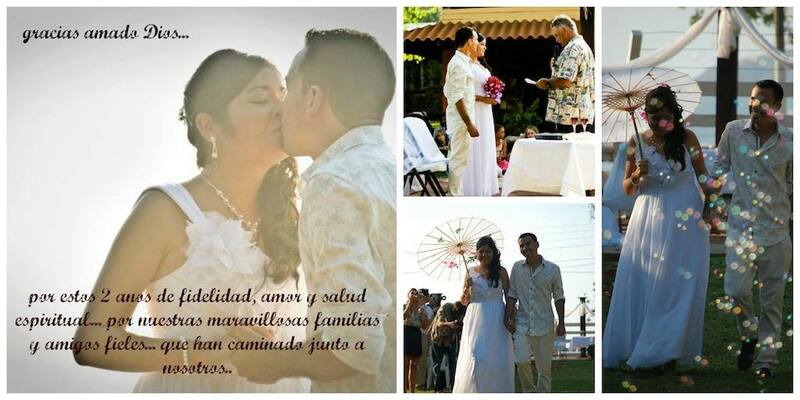 We just celebrate recently our second wedding anniversary!!!! Truly loved for sooo many people… during this past 2 years… we feel so Bless, for each of you!!! So excited for what’s to come for our family and Ministry!! To God be the Glory… He is the one who keep us in unity, love and guide us troughout this Journey called: Marriage!!! ← Counting our Blessings of 2013! !